In Ancient Greece and Rome, the veil was originally flame-colored to scare off evil spirits. Many works of literature cite the veil as a source of protection—and since veils, hats and scarves have historically been used in defense against sun, wind, exposure, or even mosquitoes, this isn’t too much of a stretch. Many wedding traditions have developed out of efforts to protect the bride. A few (such as the bride standing to the groom’s left, so his sword hand is free) were aimed at shielding her from being kidnapped by other suitors. Most practices, however, protected the bride against evil spirits that might be lurking under the floorboards or waiting to attack during the wedding. Even today, Middle Eastern brides still paint themselves with henna to avoid the Evil Eye. If you’re worried about evoking the connotations of a full face veil or hijab, you can relax. The wedding veil has roots in a different tradition and falls in a separate category (it is not worn daily, nor is its purpose to conceal a woman’s features from supposedly lecherous men). 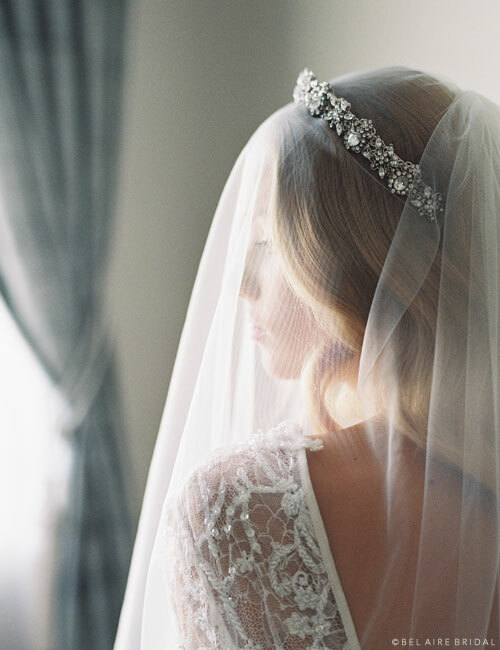 The bridal veil is attached to a comb and may be worn over the hair or face; since modern veils are light and sheer, you can see through them quite easily. A Jewish veiling ceremony, on the other hand, covers the bride with a veil to represent the groom’s enduring love regardless of physical beauty (or his possession, as only he can look at her features). If you feel that being veiled or unveiled by men has negative or sexist connotations, then you can have your maid of honor or mother flip your veil, choose a style with only one tier, wear the whole thing styled back, or flip the top over yourself. This use of the bridal veil dates back to the Biblical story of Jacob, who was tricked into marrying Leah instead of Rachel (he later did wind up husband to both women—figure that out on your own). 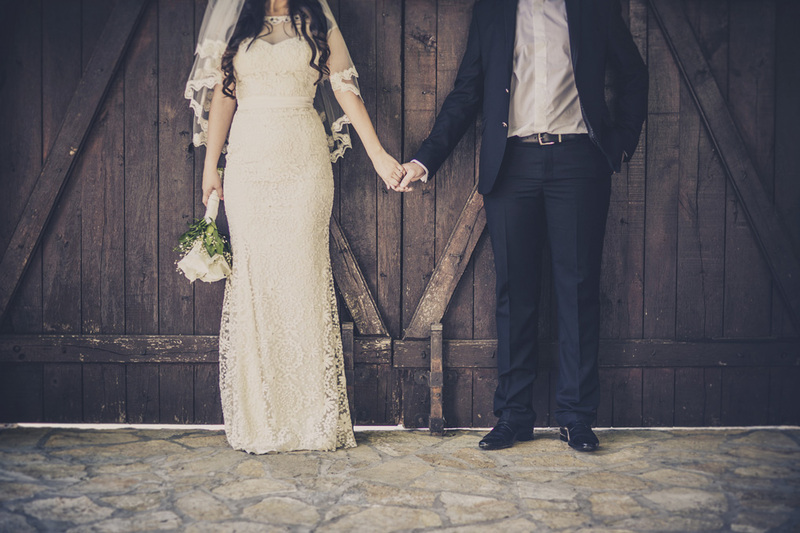 In Greek and Roman times, marriages were often arranged and the wedding veil served to hide the woman from her intended until the groom literally said “I do.” That way, he couldn’t back out if he didn’t think she was pretty. A more romantic, modern twist on this tradition is a woman voluntarily wearing a veil to hide her features while visiting a lover. You may be wondering if you can wear a veil if you’re not a virgin. The answer: yes. “Wait, even if I’m religious?” Yes. There is not really historical evidence that the bridal veil ever symbolized a woman’s virginity (or a white dress, for that matter—this was made popular by Queen Victoria). The virginal status of a first-time bride was assumed (until modern times, that is) regardless of her ensemble. You could argue that because there is a misguided rumor that a veil symbolizes virginity, it has actually taken on that connotation. Do things forever mean what they historically mean—a prescriptivist outlook—or do they change and take on the meanings we give them—a descriptivist perspective? In the history of the church, a veil symbolizes modesty and deference before God. The Bible calls on men to remove their hats and for women to cover their hair while in the presence of God. If you are having a religious ceremony, covering your hair or shoulders might be required by your church. Since the advent of the 20th century, veils have basically become a fashion statement. A plethora of lengths, widths, trims, and styles have developed accordingly. Queen Victoria’s 1840 wedding dress and veil included hand-crafted Honiton lace worked on by 200 sewers! While not all bridal ensembles are so extravagant, women nonetheless have considered white gowns and long veils a tradition ever since. Economic conditions often influence fashion trends. In the 1920s, women wore simple, short veils that were often attached to hats. The 1940s saw popular fresh floral wreaths or silk flowers. Brides in the 1960s were into looser, more scarf-like bohemian styles. The British princess Lady Diana Spencer wore a full cathedral veil to match her extravagant gown in 1981; this led to demand for dramatic veils in the 1980s. Brides in the 1990s scaled the veil back to a moderate-looking accessory, with sleeker designs incorporating simple trims or sparkle. In 2011, British princess Catherine of Wales (Kate Middleton) wore a flattering fingertip veil with beautiful Venise lace, leading to a new love affair with lace-lined veils. Last year in 2014, American celebrities wore everything from simple cut-edge cathedral veils to lavish, ultra-long royal veils bearing elaborate lace appliqués. Brides inspired by vintage trends, however, have kept short French net and face veils in style, too! Many women also choose veils to match their gowns, pairing certain lengths to flatter particular silhouettes and selecting trims that complement the details on their dresses. Overall, whether you wear a wedding veil or not is a personal choice. 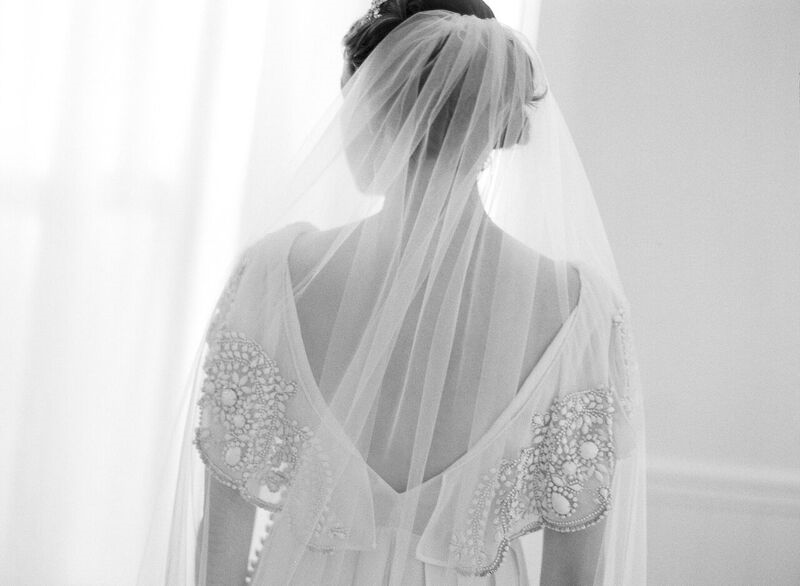 It can symbolize romance, penitence, style, or femininity—how you feel about your veil is up to you! Your wedding guests may or may not have preconceived notions about what a veil is supposed to mean; but on your special day, you call the shots. After all, you didn’t choose your gown based on what everyone else loved, did you? If you want a short veil, go for it! Dreaming of a blusher in front of your face? Go right ahead. Prefer to have the tiers trailing down your back? We’ve got that, too. From lavish cathedral veils to traditional mantillas to flirty face veils, we have created a variety of designs to complement your personal wedding ensemble—whether that’s traditional or modern. 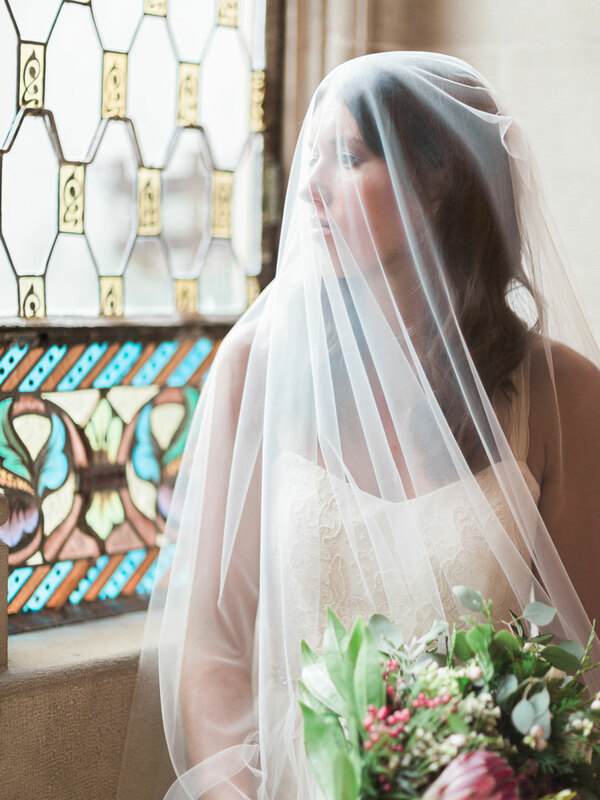 Browse our My Bridal Style pages and discover the perfect veil for you!